Now available for the "do it yourselfers"! 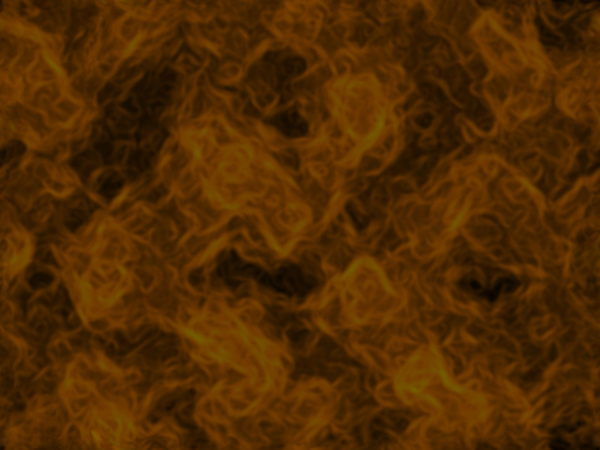 We wanted to bring you patterns that you are looking for, but can't always find easily. These sewing patterns made by an industry professional who has extensive teaching experience with sewists of all levels. The patterns themselves are rigorously researched and tested before going to press, so you will not only get a good working pattern, you will get a mini-lesson in each envelope. 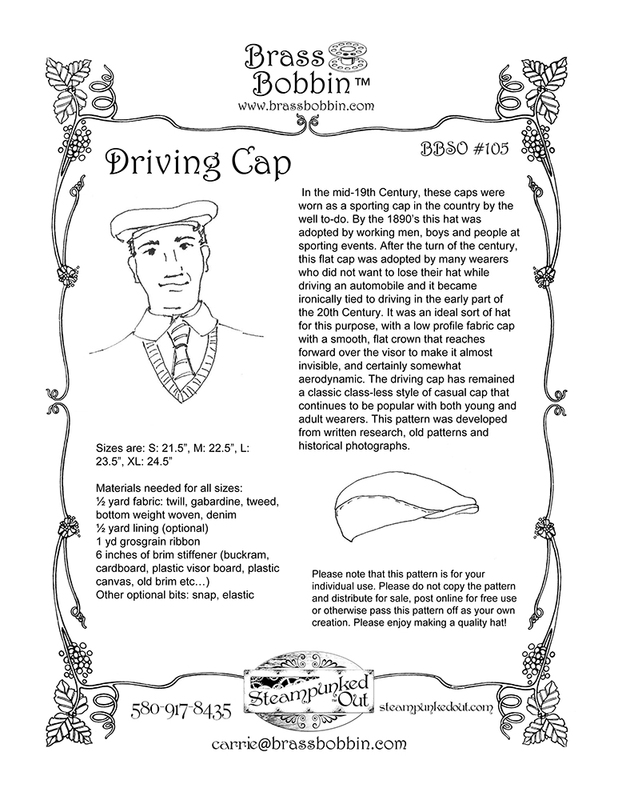 Driving Cap: In the mid-19th Century, these caps were worn as a sporting cap in the country by the well to-do. 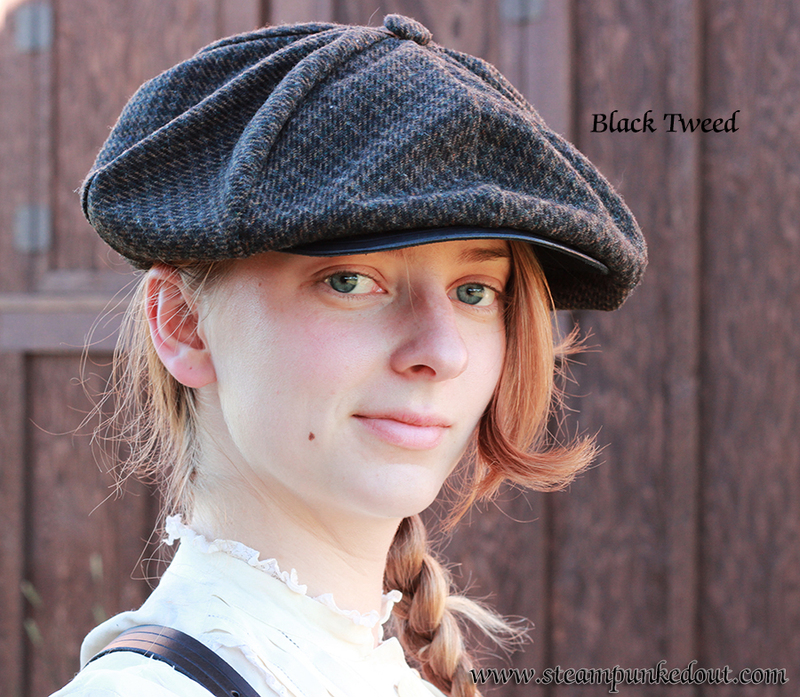 The driving cap has remained a classic class-less style of casual cap that continues to be popular with both young and adult wearers. This pattern was developed from written research, old patterns and historical photographs. 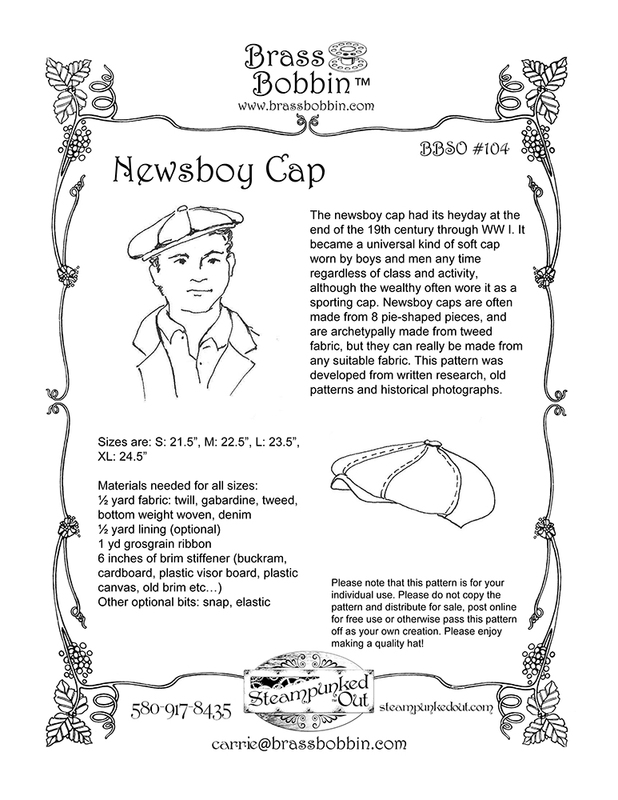 Newsboy Cap: The newsboy cap had its heyday at the end of the 19th century through WW I. 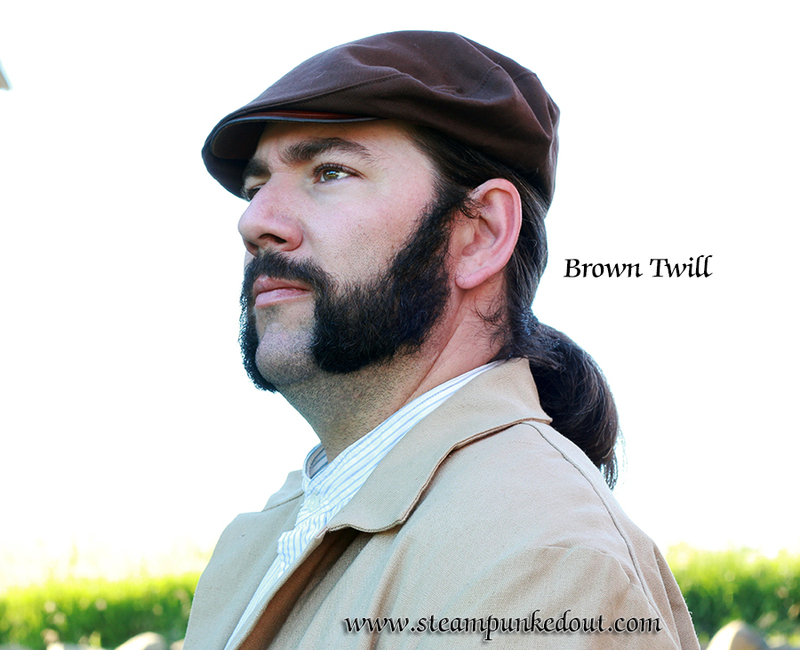 It became a universal kind of soft cap worn by boys and men any time regardless of class and activity. This pattern was developed from written research, old patterns and historical photographs. 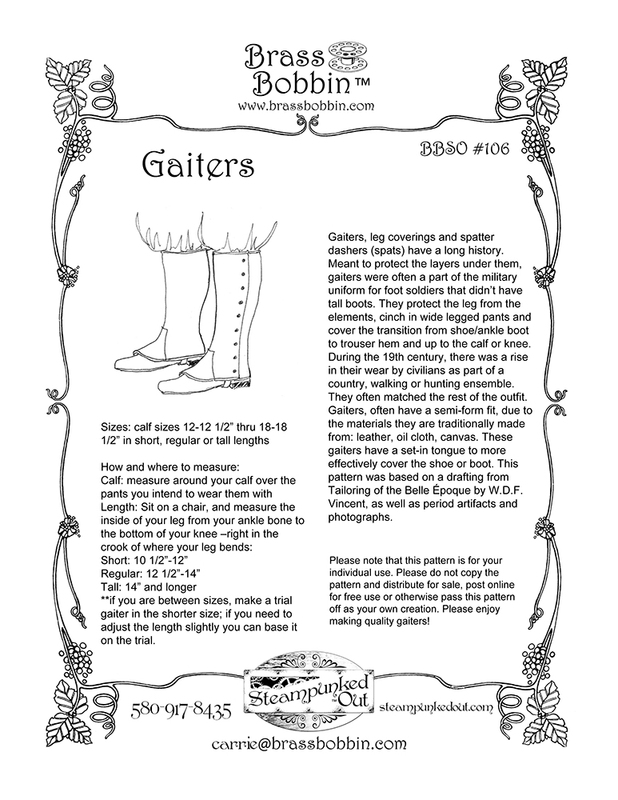 Gaiters: Gaiters, leg coverings and spatter dashers (spats) have a long history. 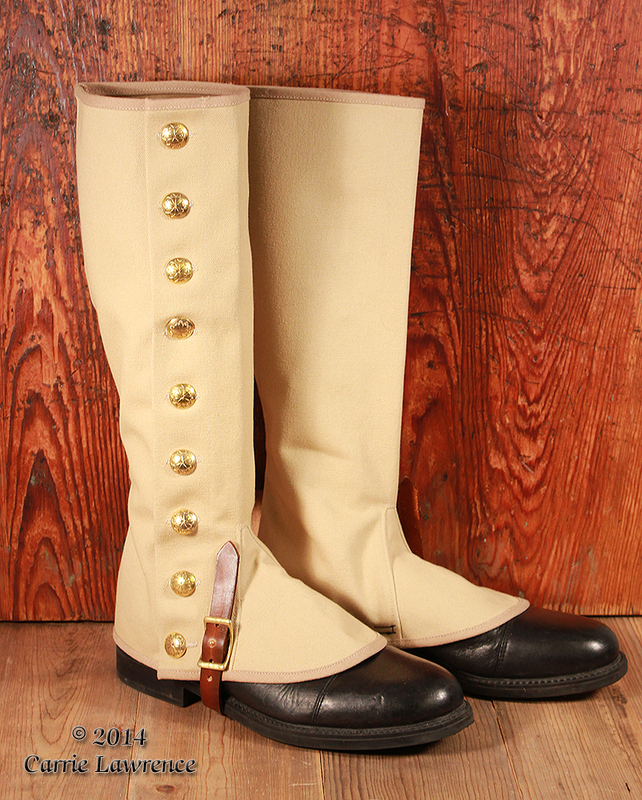 Gaiters, often have a semi-form fit, due to the materials they are traditionally made from: leather, oil cloth, canvas. These gaiters have a set-in tongue to more effectively cover the shoe or boot. This pattern was based on a drafting from Tailoring of the Belle Ã‰poque by W.D.F. Vincent, as well as period artifacts and photographs. Patterns can be ordered by height size (short, average, and tall), or as a value pack including all heights. Deciding Height: While sitting down, measure from the inside of your leg; the ankle bone to just under your knee. Short= 10 1/2"- 12", average= 12 1/2"-14", tall= 14 1/2" and up.